Purchased as a space to hold the next Fire Roasted Coffee Inc., owner Dave Cook decided the Old East Village needed something different. From that moment he made it his mission to create a space for the community to host social events for just about anything you can imagine. 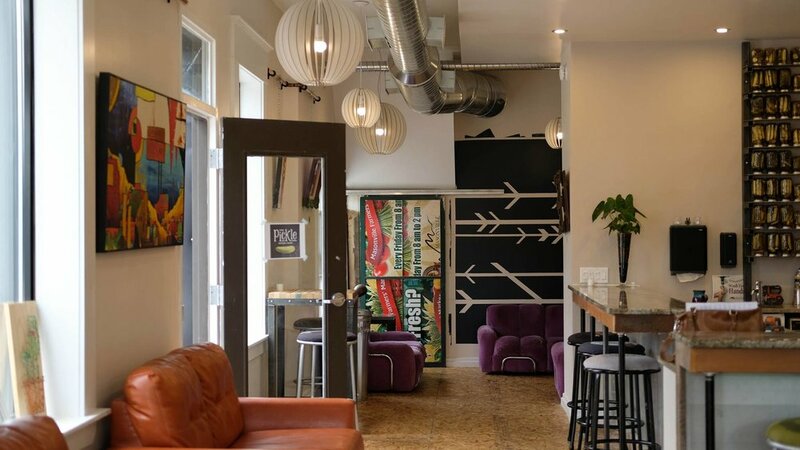 Promoted as "our space, your event", The Pickle Social Club has you covered for just about any event you can imagine, whether a non-profit, businesses, meetup groups, or even birthday parties. A couple events that they have held include A Pop up pub for Lumber Jax, pop-up shops, and an upcoming event April 14th with The Can Opener. Supporting local is not new to owner Dave Cook. Known for his community involvement and most recognized throughout London for his venture Fire Roasted Coffee Inc, Dave Cook sure knows what it's like to be a local entrepreneur. For this reason, The Pickle Social Club aims to promote local through carrying Anderson Craft Ales on tap, working with local restaurants for catering, showcasing local musicians as well as artists and hosting a number of non-profit events. The eventual goal for The Pickle Social Club is to become more than just a space, but rather a local event company hosting local events throughout the community such as meetup groups and food markets. What I love about The Pickle Social Club is the unique and inviting atmosphere. The moment you walk in you're immediately welcomed by a large, open space that suits the vibe of the Old East Village. I often think the Old East Village gets a bad name based on perceptions, although creating a space to bring events allows for Londoners to truly experience the incredible area full of life and entertainment. If you're in a pickle about where to host your next social event, be sure to get in touch with The Pickle Social Club.